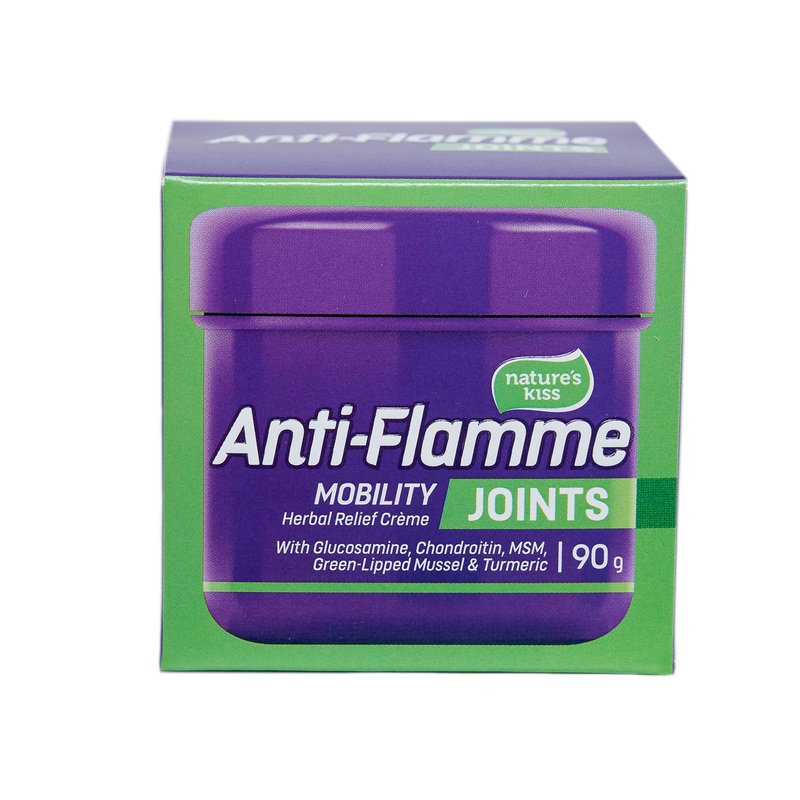 Nature’s Kiss Anti-Flamme Joints contains a carefully selected range of natural ingredients, chosen for their healing support properties. Unique combination of Glucosamine, Sweet Almond oil, Chondroitin, MSM, New Zealand Green-lipped mussel oil, Cinnamon leaf oil, Turmeric root oil and Ginger root oil work together to help support healthy joint function and mobility. Apply liberally to the affected area and gently massage into the skin. Apply twice daily or as required. For external use only. Avoid contact with eyes. Do not use on open wounds or infected areas of the skin. Keep out of reach of children. WARNING: Contains shellfish. Causes eye irritation. If in contact with eyes, rinse with cold water. If eye irritation persists, seek medical advice.